Wash cucumbers and cut them in equal halves. Using an apple corer, cut out the cucumber’s center containing the seeds and eat it on the spot. Mix cream cheese, olive oil, salt, pepper, and chopped herbs in a bowl and season to taste. Put the cream cheese mixture into a pastry bag and fill the cucumbers. Refrigerate the cucumbers for a while. Cut into slices before serving. After each cut, wipe the knife clean with a cloth. 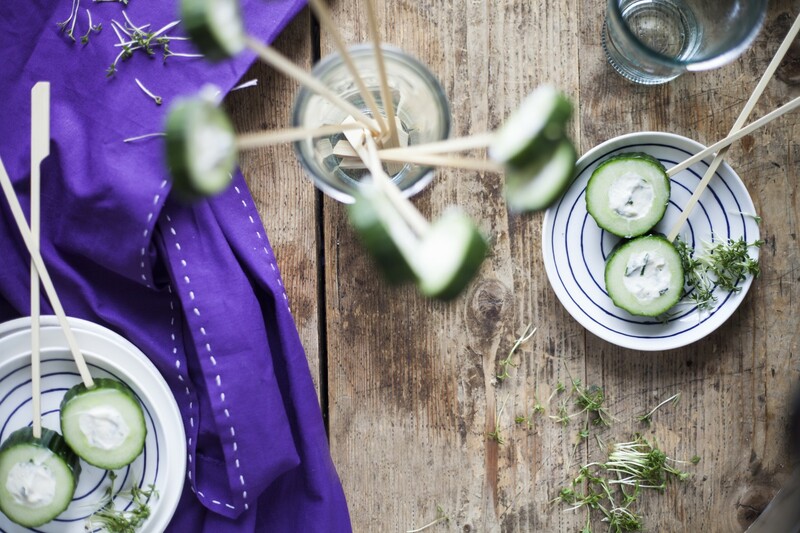 Arrange cucumber slices on skewers and serve immediately.